I do. I'll add mine to the list. What is very strange is that Green Flame seems vastly more common than 1/50.  So far, it is closer to 1/20. Jeff seems to be 1/20 instead of 1/10, and Keg Robot seems to be more likely 1/10 than 1/20. I know we don't really know the ultimate results, but Jeff seems way too rare and Green Flame/Keg is way too common based on current trends. 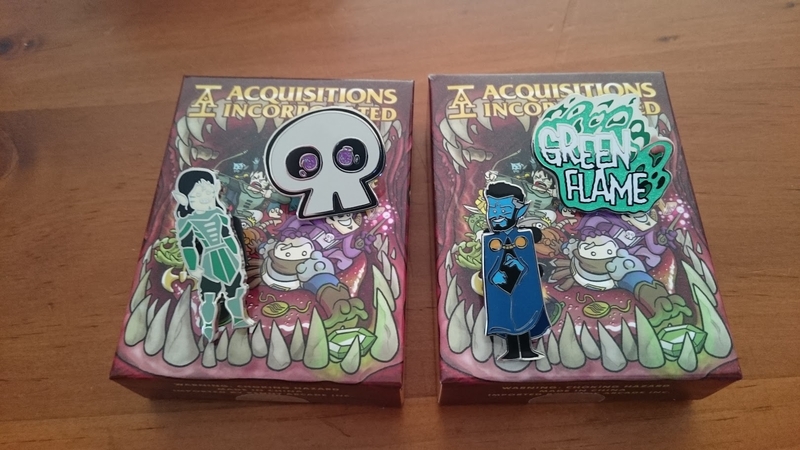 Based on the previous set, Skull should be equal to Polaroid (actually seems about true), while Green Flame should be the same as Cinnamon Roll Gabe, which seemed far more rare. It'll be interesting to see the tallies much later. So unlike last years set we're not guaranteed a complete set (minus 1 LE chaser) if we buy a case ? (I know this is true I'm just putting the question out there). Kris Straub betray me! I'm fed up with this world! Well 2 Cases didn't net me a full set, but my luck did split the difference. Received my case and looking for a trade or two. 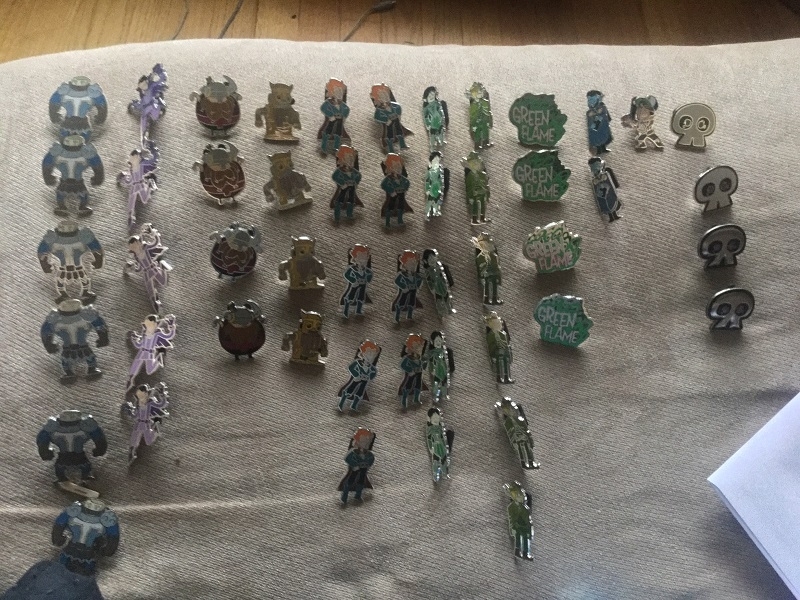 Look me up on PinnyPals! What was in your case? 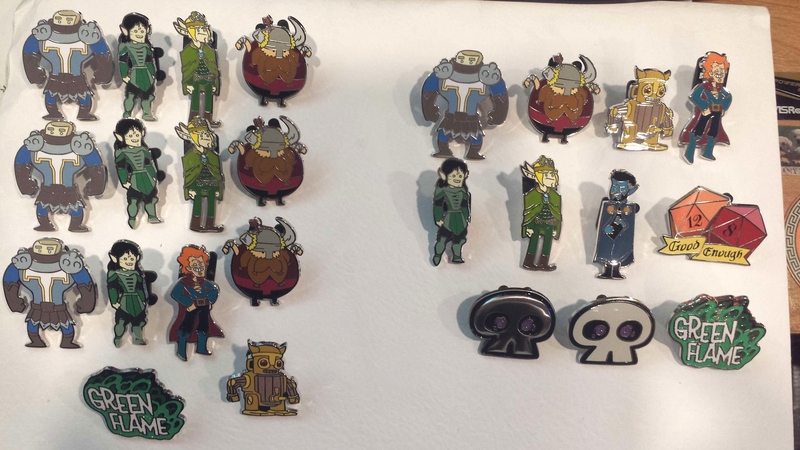 We’re so happy that you guys have been enjoying our Acquisitions Blind Box Set. A lot of work and time goes into the planning of these, but sometimes we make mistakes. 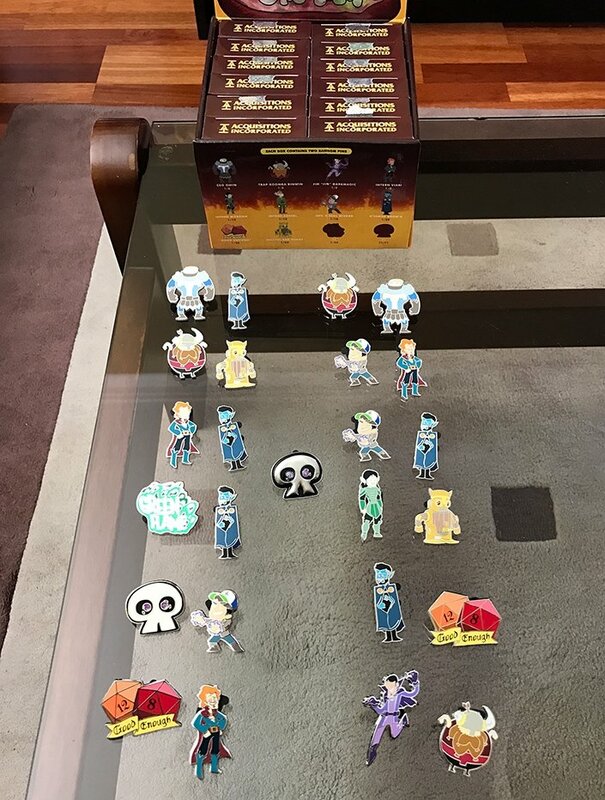 Due to the feedback that you guys gave us for our first official blind box set, we wanted to make the rares a little easier to get. 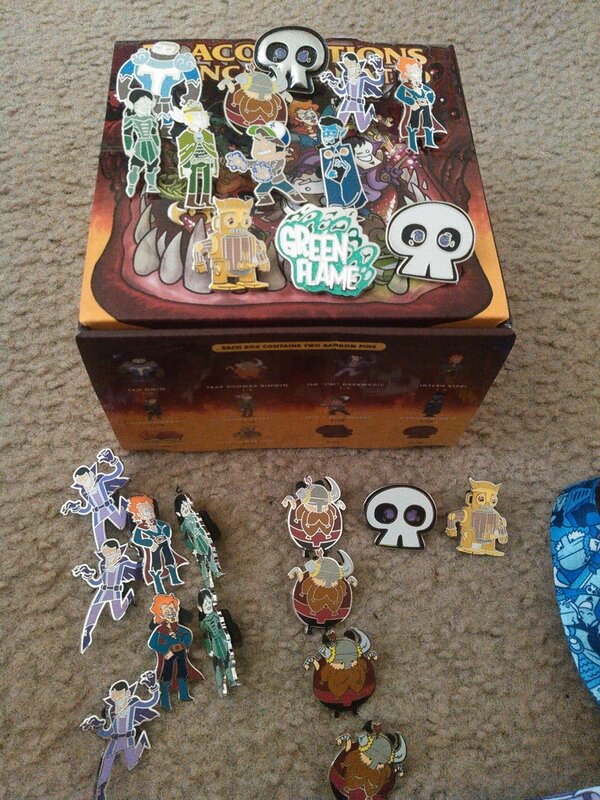 Somewhere in the process, we made a mistake with the Keg Robot, Skull Brooch, and Green Flame and didn't update the box with their new rarity level. We apologize for that confusing weirdness, and we'll do better next time. 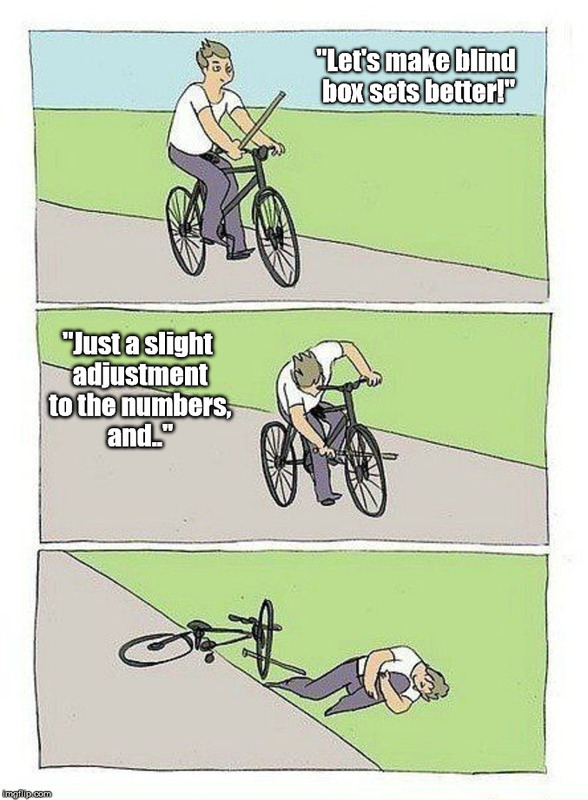 And THIS is why I didn't buy an AI case when they came out. Also, I'll be patiently waiting for all the people harassing the number-crunchers about how they were wrong/not a big enough sample size/don't know what the total print run is/etc. to stop on buy and apologize. You used the wrong spelling of "by" there, Hingo. I'm the @adambarg of non-video PA slams! Now that's a nice pull. Has anyone else not had theirs shipped yet? I ordered on November 28th and I haven't heard back from the store yet about why it hasn't shipped. I have the confirmation and they have my money. 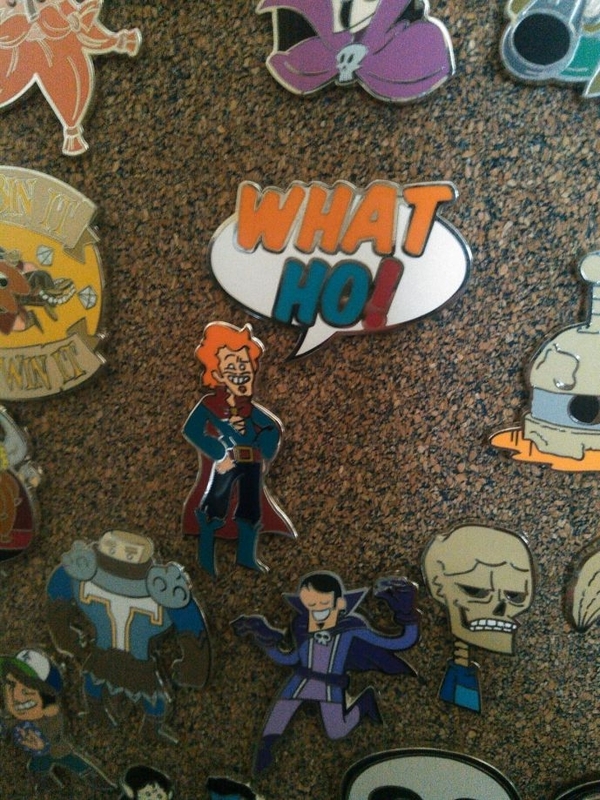 I ordered some other pins (Luigi) yesterday and they've already shipped this morning, so I'm a little concerned. Just got my sole box, as I'm expecting more for Christmas, and got Morgan and Jim's skull...since I want the trio, Viari and K'riss the most I don't know if I'm lucky or not for getting the skull! What's the ratio of people getting a complete set from a case vs. not? 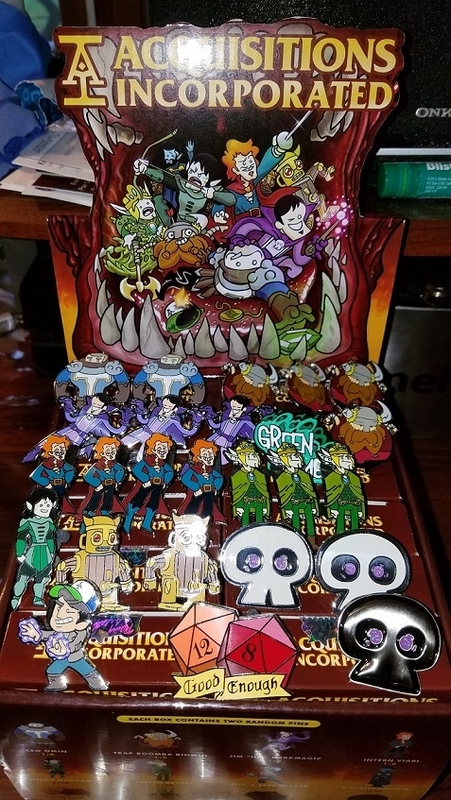 Late to post, but here's AI results from my Case, pins shown in the positions for their box in the case (for those that are interested in such detail). Just got my case in, but no special pin. Unless I'm missing something and I have to dismantle the box like some CAH trick, but I doubt that. Yeah, still waiting on my response from that. 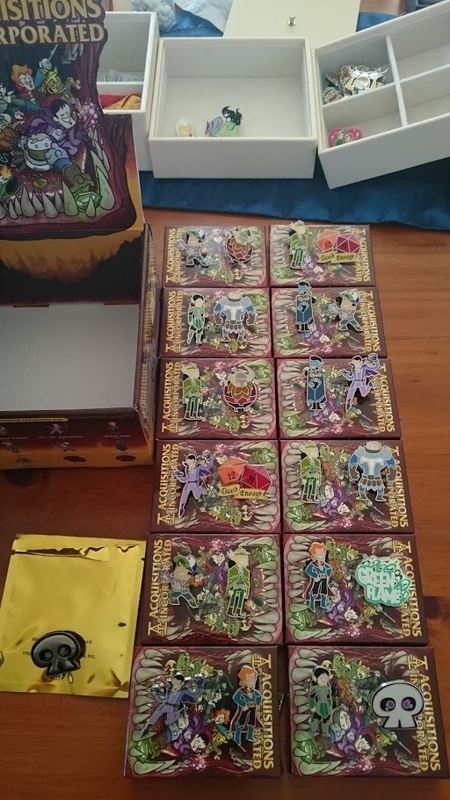 Did manage to otherwise get a full set after buying a couple boxes at South and thus starting my venture into Pinny collecting.